The Preceptor Guide is available FREE to AAACN members here in the online store. Click Add to Cart and complete your order. You must be logged into your member account to download the Preceptor Guide for free. If you are not already, you will be prompted to log into your member account. Preceptors are experienced nurses who have made a commitment to facilitate the on-boarding of new employees. Each Preceptor provides a link for the student, orientee, and experienced staff member to the organization, policies and procedures, standards of care, and to the patient. Ambulatory care nursing encompasses all patient care settings outside of an inpatient environment. It is challenging, highly specialized, and captures the beauty of nursing as it helps patients learn to live with complex issues within the community. To create the right experience using the right educational tools, the ambulatory care nursing Preceptor must have a clear understanding of the clinical, legal and organizational environment in which they function to deliver the right outcome. The Preceptor Guide for Ambulatory Care Nursing is designed to assist in the development of a Preceptor program in an ambulatory care setting and provides information and tools that can be quickly accessed within the work environment as well as insight into the role of the Preceptor. 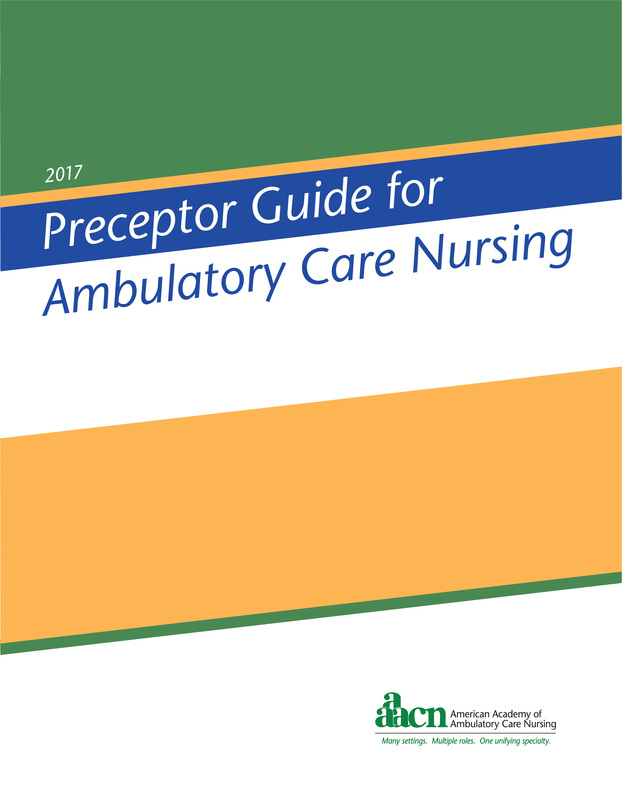 The Preceptor Guide is a companion to the Ambulatory Care Nursing Orientation and Competency Assessment Guide. The sample pages will open in a new window in Adobe Acrobat format. If you do not have Acrobat Reader, it is a free download available from the Adobe Web site.